Australia has been an immigration hub for millions of migrants moving here over the years. Australia’s point based immigration system and its exceptional work environment, job opportunities, infrastructure, high living standards, developed economy etc. magnetize thousands of immigrants every year to this part of the world. Australia’s low population growth and skill shortage have created many job opportunities for overseas immigrants here. The IT Professionals due to their specific profile and job role, have great demand in Australia. The IT professionals are greatly in demand in Australia. In this modern and digital world, no company can do without computer network and IT professionals to look after the same. 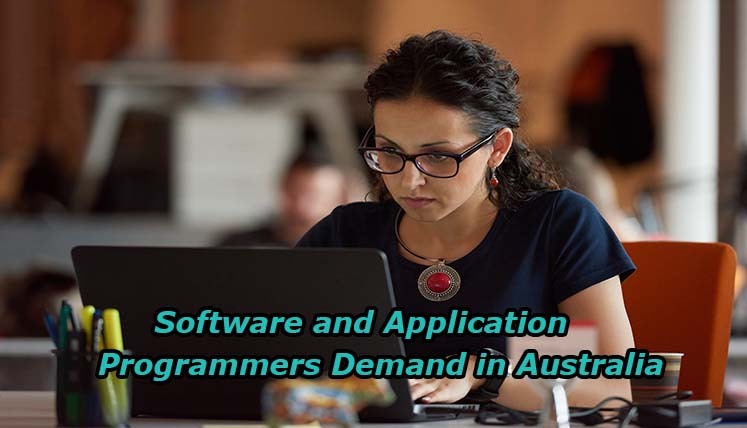 There is a great demand for Software and Applications Programmers in Australia. The various industries and employers struggling with the slow economy are looking for the best overseas talent in their IT team as its being the base of multiple strategies. Hence, if you are a Software and Application programmers, you stand a good chance of qualifying for Australian Visa. The Software and application programmers often perform the function of preparation, documentation, design, and development of codes and maintenance of the same for the functioning and requirement of the whole system. Below are the key tasks they perform in an organization. Finding the errors and faults in any of the programming languages, by diagnosing, testing and subsequently fixing the through conventional testing guidelines and standards to make certain the smooth performance of programs and applications. Writing, and maintaining programs, documentation and functional processes. Recognizing any dearth or limitation in present technology or system operations and linked practices, and suggest the resolutions for the same. How to Take the First Step to apply for an Australian Skilled Visa? Well, there are various aspects and internal things, which needs clear understanding before you actually apply for the Australian Skilled Visa under a particular category. In such a scenario, help and assistance from a reliable Visa Consultancy Services can prove immensely vital in understanding the complex immigration procedure and visa categories. Why South Australia is going to be one of the best places for Business & Investment? I’m database Developer / DBA with lots of experience. Hello Dojan, Thanks for connecting with us. Please share your CV on this id:adarsh.mishra@visasavenue.com for details. we check and tell you.